A fish seller in Bursa, Turkey. 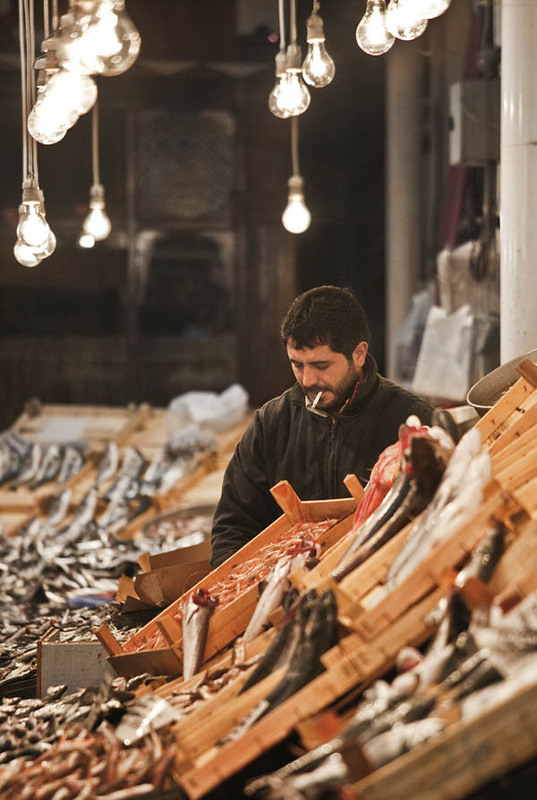 During a photo tour with Alexandre of the Fish market in the bazaar of Bursa. This gentleman was selling some nice fishs and (no) chips !